Murdoch refused to take any responsibility for the company that he runs, instead offering a load of horseshit for an elite audience. While Murdoch claimed that Fox News just runs banal conservative programming in prime time, the network is actually broadcasting white nationalist propaganda indistinguishable from the likes of David Duke. And while Murdoch refused to acknowledge a revolving door between Fox News and the Trump White House, Trump is dialing up Fox hosts from the White House, and Fox is hiring people who leave the administration. Murdoch can pretend that Fox News is a normal news organization -- and he wasn’t really pressed on the matter because Sorkin isn’t terribly familiar with what happens on the network -- but the reality is that Fox News is a right-wing propaganda machine. ANDREW ROSS SORKIN (MODERATOR): Let me ask you this, because as I said when you sat down, there's a lot of questions about the political discourse right now. And Fox News has come under question, criticism, fire, all sorts of things. When you think about the future of Fox News -- so Fox, new Fox -- is this supposed to be a red state media organization? I mean, do you think about it like that? 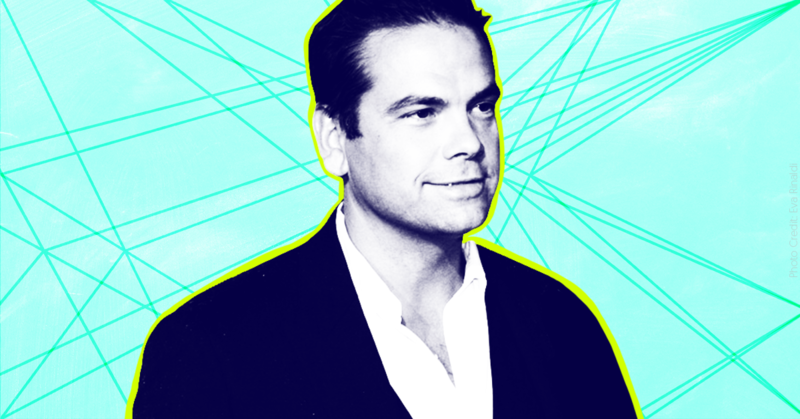 LACHLAN MURDOCH (21st CENTURY FOX EXECUTIVE CHAIRMAN): No, I think about it as an all-state media organization, right. So we have to program -- and by the way, you’re talking about Fox News, but the television network, the TV stations, Fox Sports, nonpolitical, unpolitical media businesses -- we program to everyone, right. So it's to the coasts, it's to California and New York, but also everywhere in between. SORKIN: -- Modern Family for all these years. He goes and says the following, and this is about you: "I sincerely hope Lachlan Murdoch recognizes the damage this is doing" -- this is about the network -- "and finally brings sound journalistic ethics and standard to his network before more unhinged people are riled up to send bombs and shoot up churches and synagogues. I'm not going to do anything for the Fox network ever again as long as Fox News remains such a destructive voice in our society." When you hear that, you think what? MURDOCH: I know Steve pretty well. I think he's a genius, he's certainly a genius storyteller. And what makes, what makes Steve so good is that he has a huge amount of empathy, you know. People who tell stories -- and you're a writer, right -- people who tell stories, they have empathy and then they, they channel the empathy from people around them, right. And so what Steve is doing -- and I completely understand this and I accept his opinion on this -- he feels, frankly, the, you know, the anger and you know the intolerance of opinions that we're seeing across all of our community today in America. And so, and so you know when I hear that or read it on Twitter or wherever he wrote that, I completely understand where that's coming from. Now having said that, you have to look at our platforms, right. We have, you know whether it's people who look at Fox News and frankly, our biggest critics of Fox News are not watching Fox News. Right? SORKIN: But I would say, but I would say there’s a distinction between what The Wall Street Journal op-ed page does and what you see on Fox News. And when I mentioned false flags before, or the conspiracy theories, the idea of trafficking in some of these ideas, even last week -- I don’t know if Ed Stacks is still here from Pittsburgh -- some of these ideas, I mean, are you -- when you see that stuff, are you proud of that? MURDOCH: I don’t think -- I don’t take responsibility for a criminal who was a criminal before Fox News even started, right, in the case that you’re mentioning. And so I think it’s unfair to make that criticism of me or Fox News or of any other media organization. So, but what I can say is that when we make mistakes -- and all news organizations do make mistakes -- it’s our responsibility as it is everyone’s to correct them and to apologize for them. SORKIN: Let me ask you though, related to the image though of the closeness between Fox and the administration. Obviously you just hired Hope Hicks, I’d love to understand that decision, choice, and even thinking about the optics of that. Bill Shine, by the way, who used to work with you, then went to the White House. And that creates -- at the minimum it creates an optics issue. Do you think about that? MURDOCH: Oh by the way, I should just mention, when we did do our due diligence on Hope, because it’s something you do, you go out and you interview someone and then you check their references, and you also call around -- someone in that role, in public relations, I had an advisor of mine call people she would have worked with, and universally -- and I should mention that many people from The New York Times -- universally said she was a fantastic choice. SORKIN: OK. Politics inside your family, when you -- do you consider yourself a conservative, a Republican, what are your own politics? And also I want to know about the conversations you have with James, because I think there’s a perception that he may be on the other side of you. KEN AULETTA (THE NEW YORKER CONTRIBUTOR): You mentioned that you are a social liberal, or to the left on social issues. You also extolled the word empathy. If you watch the prime-time programing on Fox News, it’s the opposite of that. Empathy is not championed, and they’re socially very conservative. Do you plan to make any changes in that since you have strong views on these things? MURDOCH: Look, I do have strong views on these things and I think I can -- and you know this because you know our companies very well -- we, I’ve run newspapers since I was 21 or 22 years old. You know, I don’t -- and it’s a practice I have had, I know it’s a standard practice, it should be if it isn’t, but I think it is a standard practice in almost every newsroom, certainly in the Western world. I don’t tell journalists what to say, or what to write. That’s not my role. What I do do, running a media organization, is obviously, you know, work closely with the managers of those newsrooms and with the managers of those newspapers, and it’s important that they get the positioning and the messaging right. We don’t always get it right. We don’t always get it right, and we have to call ourselves out on that when we make a mistake. MURDOCH: No, I’m not embarrassed by what they do at all. You have to understand that Fox News is the only mass media company in America, in this country, with conservative opinion, with strong conservative opinion in prime time. It’s the only one, alright? It’s not one of a few, it’s the only one. And I frankly feel in this country, we all have to be more tolerant of each other’s views. And that does for everyone, everyone in this room, everyone in this country, everyone on both coasts, and in the middle. And that’s the problem -- we’ve come to this point where we are more and more intolerant of each other and frankly that just has to change.